Savvy Bent is a freelance agent. That does not tell anyone much which is reasonable because she doesn't want anyone to know so she keeps it quiet or, more likely, because it is all still confusing to her so it is confusing to the rest of us. When we first meet Bent, she is living in Paris with her father. Originally from Pennsylvania and still having a home there, the two moved to France and Dad started a small business to earn a living. He didn't make anything or repair anything or buy or sell anything. He spied. Not for real, though. He ran a real-life game of spies. Just as there are living theaters for solving murder mysteries, there are such troupes for pretending to be a spy and Dad runs one. He is very good at it and he has trained Bent to be good as well. Not that we really see any skills at the beginning of the first adventure because Savvy Bent is just turned 18 and is in the process of falling in love with the handsome young Malcolm who is part of the company of actors and when Bent is around him, she tends to get confused and clumsy and goofy. Luckily for her, when she is not thinking about it, the training she got from Mom and Dad kicks in and she handles herself quite well. Speaking of Mom, she disappeared several years ago. Bent remembers her quite well growing up. Remembers mom baking cookies and telling her stories and doing all the normal mom stuff. She also remembers Mom being an exercise nut, running many miles each day. Remembers her target-practicing in the backyard with a variety of guns. And then there was the knife throwing. Bent's friends at the time stopped coming over. Then, as said, Mom vanished and Dad and Savvy moved to Paris to start the Spy Games company and then Malcolm entered her life and then people started shooting at the both of them and then Mom shows up again all mysterious-like and then the next thing Bent knows she is working with her Mom in a real-life spy business and even more people are trying to kill them all and Malcolm pops in and out and is still good looking enough to throw Bent off her game. Life around Savvy Bent is interesting, confusing, and usually dangerous. On her first date with Malcolm, Savvy Bent ties him up and strips him to his underwear. Then a sniper shoots him. That gets Savvy involved in learning who was shooting at them and why and wondering if Malcolm is a good guy or bad. Think what Malcolm must be wondering about Savvy. 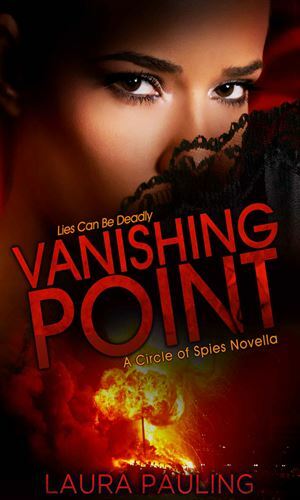 After her mom took her to Greece, Savvy Bent thought she had seen the last of Malcolm but then they bump into each other again and once more she almost gets him killed. 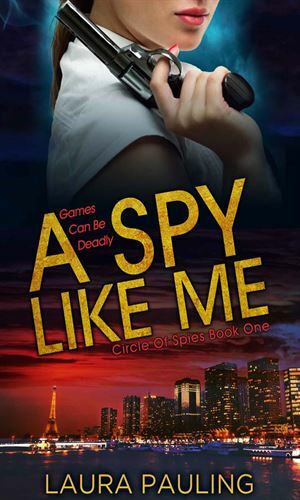 Savvy is given a simple spy assignment but things are seldom simple with Savvy. Will was a cold blooded assassin but despite that, Savvy Bent regretted having killed him. 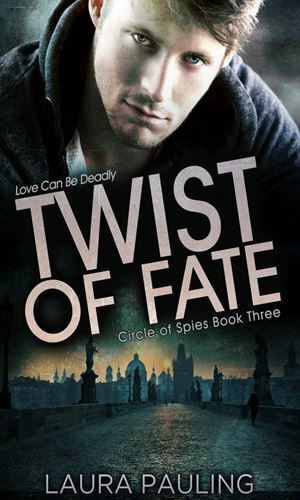 When she learns that Will's girlfriend is in danger in Prague, Savvy feels obligated to head there to help. Meanwhile, Malcolm is given the job of keeping Savvy and her family safe but that is not going to be easy, especially with Savvy having a mind of her own. Malcolm knew the rules. Never sign on a client without talking to Savvy. But he did it anyways and now they have a "royal pain-in-the-arse" client and her fluffy little dog, too. Savvy is hoping for a little excitement but gets more than she bargained for. 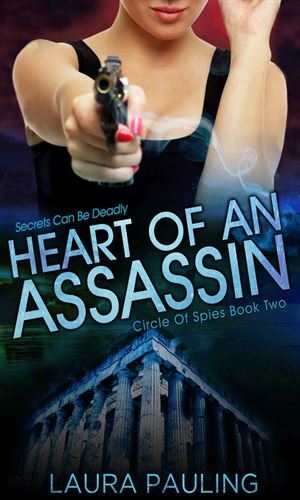 The untold story of Savvy Bent's mother is depicted, relating how she learns she is from a family of spies and that another family of assassins want her and hers dead. To keep them save she vanishes to go up against her would-be enemies. I am pretty sure this series was written for teenage girls. I could be wrong (yes, really!). If so, I have to wonder how many teenage girls would, on their first date with someone, tie him up and strip him to his undies. Not any I would know but then again I just could have gotten lucky. The concept for Dad's job is interesting - running a live role playing spy game. I loved the concept in the Bill Murray movie, The Man Who Knew Too Little, so I was interested in this but then the main character started getting involved with real spies and things got confusing for both her and me, the reader. I had a hard time telling the good guys from the not good ones and that detracted a lot.